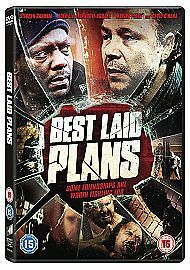 BEST LAID PLANS, staring Stephen Graham (This Is England, Boardwalk Empire, Gangs Of New York) and Adewale Akinnuoye-Agbaje (Lost, The Bourne Identity, G.I. Joes The Rise Of Cobra). Centres around the bonds of friendship, and how loyalty and love can be tested under the most extreme and violent circumstances. David Blair directs.